This delicious coconut cake is actually an upside down cake with a buttery brown sugar and toasted coconut topping. From house party guests to your out of town family that's visiting, everyone will enjoy this sweet dessert. In an 8-inch square baking pan, melt butter with brown sugar and water. Cook, stirring until well blended. 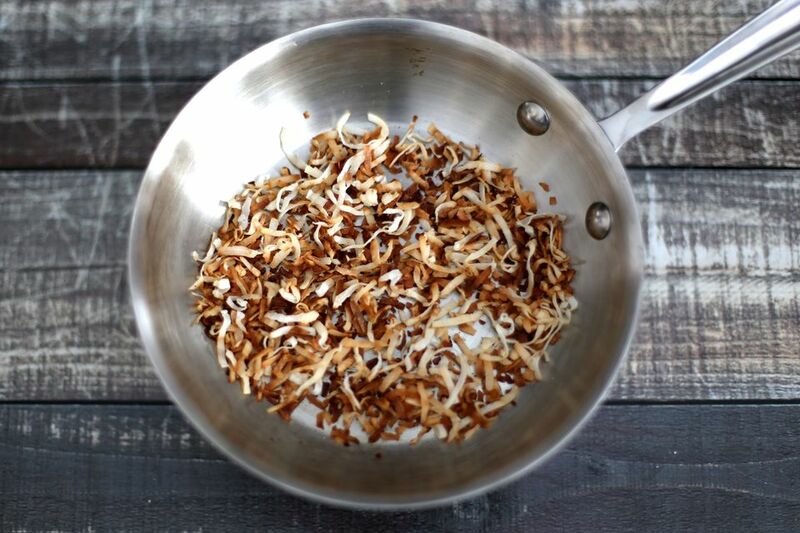 Add toasted coconut; set aside. Sift together cake flour, baking powder, salt, and sugar. In mixing bowl, cream butter; stir in dry ingredients. Stir in egg, milk, and vanilla; beat for 1 minute. Pour batter over coconut mixture. Bake at 350 F for 35 to 45 minutes, until the cake is done. Invert the cake onto a cake plate. *To toast coconut in the oven, spread coconut on a baking sheet in a single layer. Bake at 325 F, stirring occasionally, until golden brown, about 10 minutes.